We have an extensive network of government contact and information resources we are happy to share with you. Here are just a few of those related to your governments. To register your association or to update contact information, click here. 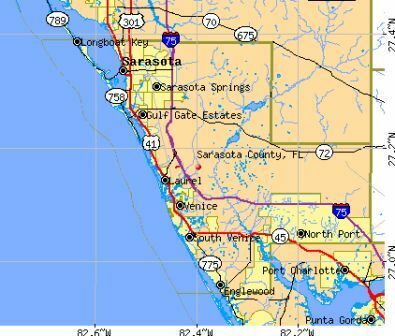 crime mapping: to find information on a possible crime in your neighborhood, check on the Sarasota Sheriff's great crime map at their web site and click on the map. self-defined region of more than 50,000 residents. an area through the actions of several boards that include elected representatives of the governments within the area covered, their appointed citizen representatives, and appointed technical representatives. Our MPO has several other boards and committees. to keep well-informed and to be able to attend their meetings. Representatives of the MPO asked to meet with the CONA board in April 2015. The MPO staff is seeking input from citizens and organizations about needs and issues with transportation. The MPO has established a web site (link below), to give citizens and organizations an opportunity to give input. The MPO intends to make this a continuing dialogue through the web site as they wrestle with the future of the two counties. Transportation networks and types are primary generators of patterns of development—a decision to build a road or a rail line, or a bus line, may have major implications for the form and type of development that will follow—and be assured, development will follow. We seem to have it backward around here, where transportation always is playing catch up to ill-planned development (e.g., diverging diamond interchange after the fact of a bad decision to allow the UTC with inadequate transportation—at a cost that will go to more than $100,000,000). This is an opportunity for you and your organization, whether you are in Sarasota or in Manatee, to have a say ahead of time. Remember: with Sarasota County's doing away with many requirements to make development pay for the infrastructure needs it creates (once again, the UTC and the diverging diamond), we taxpayers will end up paying for most of these costs. partnership dedicated to restoring Sarasota Bay. The program is one of twenty-eight national estuary programs in the United States. Volunteer opportunities include serving on advisory committees. The Sarasota-Manatee Regional Traffic Management Center (RTMC) is the hub for operation, maintenance, and monitoring of advanced traffic management systems in the two-county region. RTMC staff monitors and reports on traffic conditions and incidents, and promptly makes any temporary traffic signal timing changes in response to ensure traffic flows more smoothly around affected areas. Follow the RTMC live camera feeds throughout Manatee and Sarasota counties. This website is not to be used while driving. Always avoid distractions when you’re behind the wheel of a moving vehicle. Jon Thaxton provides a good introduction to the human factors that exacerbate red tide through the disruption of natural systems and allowing the avoidance of taking the known actions that would return the natural balance that would prevent the massive and protracted occurrences that are killing wildlife, disrupting lives and health, and devastating the state economy.